The water may be smooth in this photo, but Texas Parks and Wildlife reports when the wind picks up many boaters find themselves in trouble on the water. 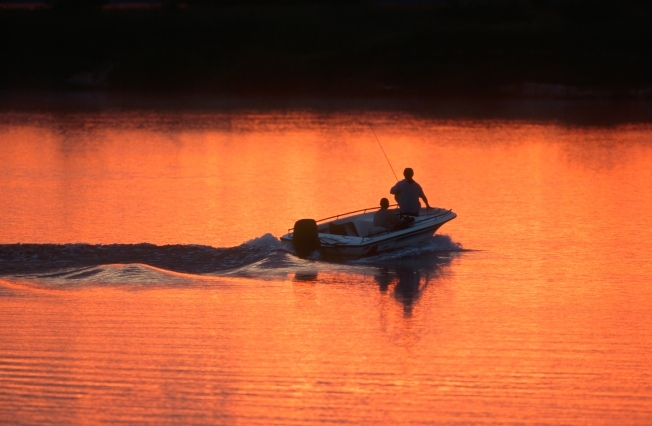 Although summer has yet to arrive, 13 people already have lost their lives in Texas boating accidents, one more than had died at this point a year ago. Major Alfonso Campos, chief of marine enforcement for the Texas Parks & Wildlife Department, said the state is off to a "grim start" this boating season, in part because of strong winds. "This is the time of the year when the wind picks up, but people want to go out because it's warm," Campos told The Dallas Morning News. "But then the wind picks up and they capsize." Separate boating accidents on Dallas-area lakes led to the deaths this week of an 18-year-old man and a 37-year-old woman. In both instances, boats were overturned in high winds, the Morning News reported. The wind also may have played a role in the death of a 54-year-old man whose sailboat was grounded last month on Lake Lewisville, considered one of the state's most dangerous lakes. Sixty-one people died on Texas waterways last year, equaling the most this decade. The number of deaths has steadily risen annually since 2005, when only 36 were reported. Sunday.